Have you ever gotten so lost that you ended up going in completely the opposite direction you were originally headed? When Jesus said he had come to seek the lost (Luke 19:10), he was referring to people living in the way that is contrary to how they were created to live. God created us to love him and others. Sin is contrary to our nature because it leads us to hurt God and other people. 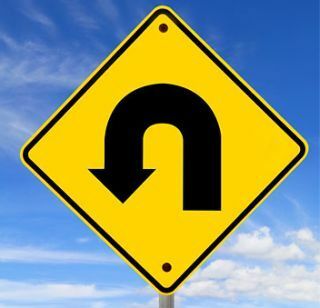 Continuing with the analogy that sinning is going in the wrong direction, Paul announces where everyone who sins or lives in sin is headed: toward judgment. Some might say, though: “I didn’t know I was going the wrong way.” How does Paul answer? By affirming that Jews and gentiles alike have broken God’s commandments. Indeed as he will later say there are none who are free from sin. Another question Paul addresses is whether being good is enough. Some think that repentance does not apply to them since they really don’t hurt anyone or because they are very religious. Paul would say: “Turn here toward repentance.” Paul distinguish between being outwardly good from being inwardly right with God. It’s not enough to once in a while do something good because our inward nature has been contaminated by sin. It would be like using a cup you only cleaned on the outside but was dirty on the inside. Because of our inability to cleanse ourselves from the inside, we need to repent before God. Here Paul comes to a conclusion: everyone is going the wrong way. So like a good neighbor, he alerts us that no matter if we’re Gentile or Jewish, we’re all under sin. Does that mean none of us are able to do good? No, it simply means that we lack the capacity to always go in the right direction, or to live fully according to God’s will. Therefore, we need to repent, which means to completely change the direction of our lives and begin heading in the direction God intended us to go.